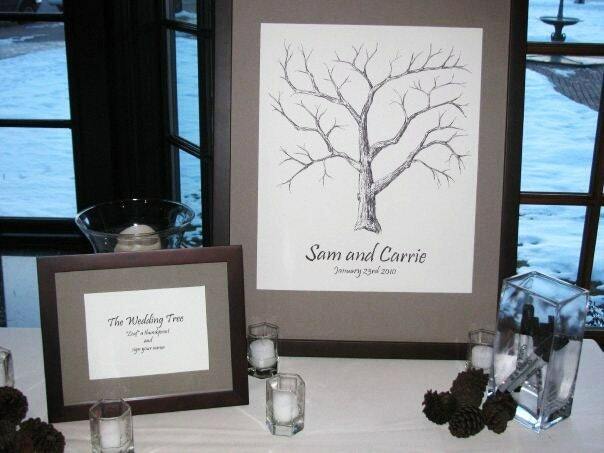 My friend (who is a lesbian) has started a business hand drawing wedding trees. 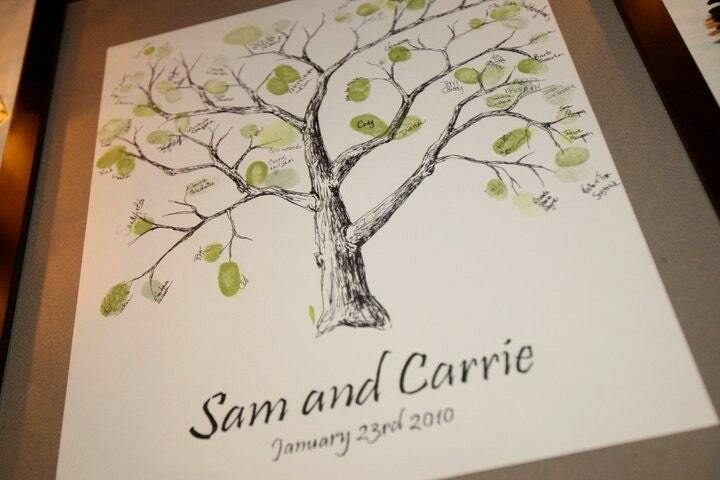 Instead of a guest book your guests put their thumbprints on the tree and sign the thumbprint. Then you have a gorgeous, unique, custom piece of artwork from your wedding to hang on your wall. You can customize it by asking for a certain type of tree, or add your initials to the trunk, or have 2 birds cuddling on a branch, or had a swing, or a puppy sitting next to it, what ever. Just thought people might like it, so thought I would share. What a brilliant idea! That looks gorgeous and it's so nice to see something unique and beautiful.